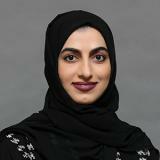 Hessa Al Balooshi is the Director of Smart Services at Smart Dubai Government Establishment with more than 12 years of experience. She is responsible for planning and implementing the cutting edge technology solutions critical in accomplishing the mission of making Dubai the Happiest city on Earth, creating happiness by embracing technology innovation. Hessa has spearheaded the Cognitive Computing initiative as Director of Smart Services which are the key building blocks in making Dubai an efficient, seamless, safe and personalized experience for its residents and visitors. Dubai is the first in the world to embrace these cutting edge technologies at a city wide scale to implement its Smart City vision and Hessa have played a pioneering role in make this happen. As Director of Smart Services, Hessa have managed technology programs that enabled Dubai to offer fully Integrated, Transformed, Ubiquitous, Seamless, Citizen Centric Government Services to its constituents these includes but are not limited to AI Labs, Dubai, Dubai Now, Rashid – Cognitive Computing Solution, Happiness Meter and customer engagement applications. Check out the incredible speaker line-up to see who will be joining Hessa.